Empire Medical Training has designed a number of private class and preceptorship training for you and your staff with individualized training available on the subject matter you wish to learn at your location. Learn about Empire Memberships and Save on tuition! For many busy medical practices it may be impractical for physicians and other healthcare professionals to close their office for a period of time to receive the additional training Empire Medical Training offers. The cost of tuition for training, travel, and the lost revenue of closing your medical practice may be inhibitive to attending our Aesthetic, Regenerative, Medical, and Interventional Pain Training. Empire Medical Training has designed a number of private class and preceptorship training for you and your staff with individualized training available on the subject matter you wish to learn at your location. The teaching is based upon the same criteria of the curriculum we offer through our training with an emphasis on standard of care, protocols, and techniques in performing the modalities. Whether you desire one day or two day training at your location, we can personalize the curriculum to accommodate your request for private training for our Aesthetic, Regenerative, Medical, and Interventional Pain Procedures. Our physician faculty of specialists will travel to your location and teach and guide you through your desired learning. Classes may include you and your staff and can be structured for you to perform these supervised procedures on “live patients” at your clinic. For many this defers the cost of the training as physicians are able to charge for the procedure to patients for training. Private Training is the perfect opportunity for “one on one” supervised training with our expert physicians and is personalized for what you wish to learn during the contracted preceptorship training. Empire Medical Training also offers private classes for large groups, the curriculum is based upon your desire for training and can be conducted at a convenient location. This option also allows for you to plan a program within your area for colleagues wishing to attend and be trained on specific procedures and topics. All private training classes are also individualized for your desired education needs. Since these are personalized to your specific education requirements it is necessary to contact Empire Medical Training directly at 866-366-1576 for pricing. Dates are flexible to accommodate your needs but you will need to schedule in advance (typically 3-4 weeks). Most Experienced- Empire has over 20+ years training physicians, nurse practitioners, and other medical professionals through our medical workshops (beware of other training companies claiming the same). Empire has trained over 100,000 successful graduates in our Aesthetic, Medical, Regenerative, and Pain Management courses. Empire utilizes only board certified physicians and physician specialists for our training and we offer numerous training options with over 600 seminar workshops held annually throughout the United States and North America. Best Quality- Empire utilizes the very latest methods for training including IPADs and Computer Tablets as part of your training. Empire uses their proprietary Rapid Retain Repeat® method of training to ensure that you gain a full understanding of the course materials and the hands-on portion associated with your training. Our Expert Faculty ensure that your needs are met and have achieved success in practice as well as being highly credentialed i.e. Yale, George Washington University (Robert Bader, MD). The Empire-Wow-Refund-Guarantee™ - guarantees the quality of your education or you may receive a refund of your tuition for the program plus your travel expenses! No other training organization offer or can match our guarantee of quality education, Finally, Empire Medical Training offers a Empire-Wow-Hands-On-Guarantee™ - Free One on one preceptorship guaranteed if more training needed! 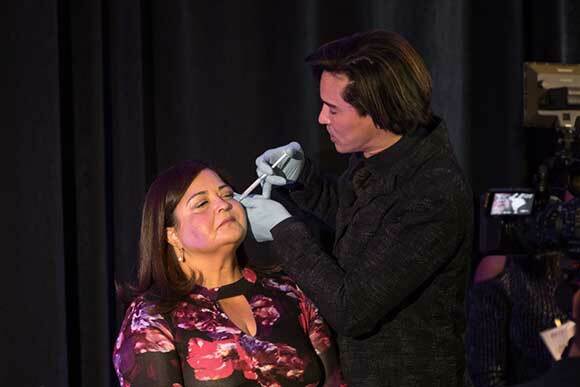 Best Value- Empire Medical Training continues to offer the best value for your continuing medical education with over 34 different Aesthetic, Medical, Surgical and Business topics as well as more choices for cities and venues than anyone else. Our affordable membership models allow you to attend all 34 courses FREE OF CHARGE, that means access to over 600 seminar workshops offered every weekend throughout the USA, unmatched in the industry! Besides the very best training, Empire offers CME credits, AMA PRA Category 1 Credits™ for the majority of the courses and offers full color manuals and a physician portal for attendees. Our physician portal includes all of the educational materials needed for you to become successful and integrate these new procedures including instructional videos, informed consents, patient in-take forms, and other additional information related to the training.